The Thirty-sixth had been held in reserve all through the first day’s fighting, until late the morning of the second. 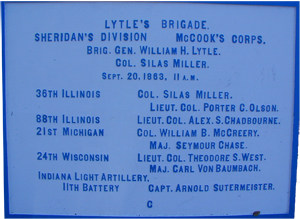 The fighting in the woods south of Brotherton Field was intense; the enemy lines less than one hundred feet away, when their brigade commander, General Lytle, ordered them onto the field to the right of the 88th Illinois. The 24th Wisconsin came up on their right, and the 21st Michigan to the right of them. 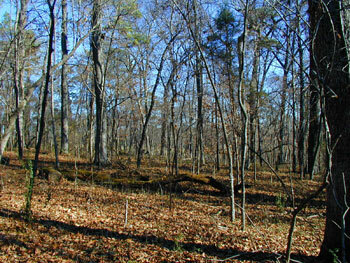 They were no sooner in position than the Rebels charged from the woods, coming at them from three sides. The line faltered, and the Thirty-sixth began to give way, men screaming and falling, others turning to run. Jamie went down, blood spreading rapidly from a gaping wound to his stomach. Josh rushed to his side. 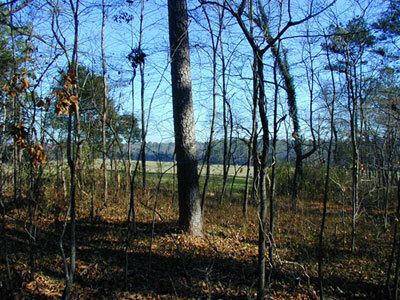 Determined not to leave his twin to the enemy, he began dragging him up the shallow slope, ahead of the advancing Rebs.